Araceli joined the ensemble in the summer of 2004. She was in the ensembles which created eternal return and Unsullied. She toured to Germany and Poland and went to the TCG conference in Atlanta GA. She directed Spudnikz with D-Nick Stockman working with the Little Village High School Ensemble in 2012. She is currently a Chicago police officer. 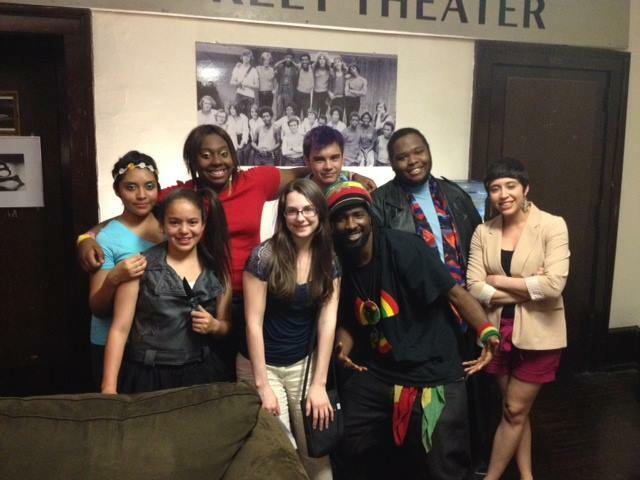 I co-directed a play titled Spudnikz with D-Nick the Microphone Mizfit with the Little Village Free Street Theater Ensemble which was performed in May 2012. We had a group of about 6 youths who all attended Little Village High School. 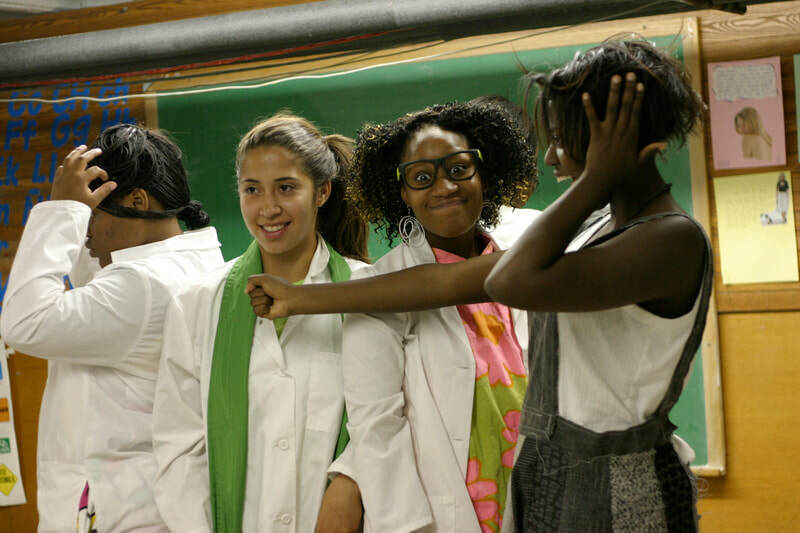 These teens would have dance/choreography rehearsal two times a week at Little Village High School on the far west side of Chicago and then attend Saturday morning rehearsals at Free Street Theater in Wicker Park. Definitely not an easy schedule. What I remember most from this experience is how I went from being a teen myself a part of the ensemble at Free Street Theater in 2004 to a director. The amount of responsibility was astonishing. These kids were so special, so talented, and they felt everything. They were so sensitive and empathetic. These were young people who chose to spend their time with us. Who showed up, who learned the dances, who wrote the lines, who rehearsed. It was amazing to see how they showed up and created a beautiful show. Although I no longer work in the creative arts field I feel like Free Street helped me to live in the present and acknowledge the power of stillness, something that comes very handy especially when everything around me is going so fast. I learned the power of my breath to control my focus and attention, a strategy I use everyday. I like to think that I helped impart that knowledge on the youth of the Little Village High School Free Street Ensemble, too. The most important/difficult/impactful thing you can do is just breathe and live in the present moment.